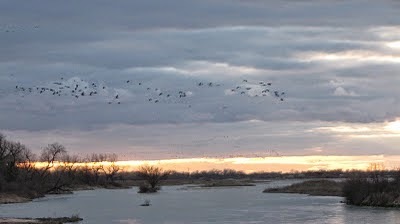 We saw this river of snow geese cross an interstate highway in the western Dakotas. 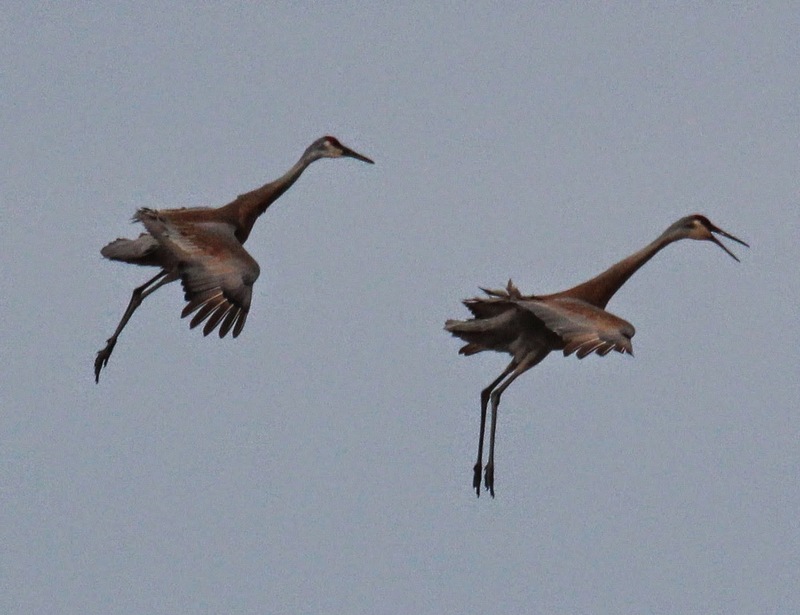 Sandhill Crane migration is also one of the truly spectacular events of nature. 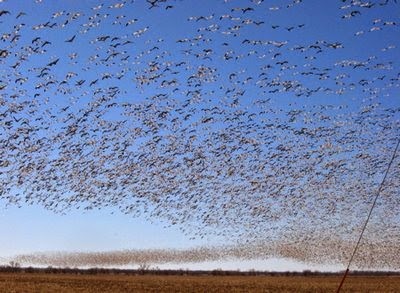 We’ve seen them arrive and land in the Platte river valley of Nebraska in their tens of thousands. Stop for a corn break in the picked fields of Wisconsin. 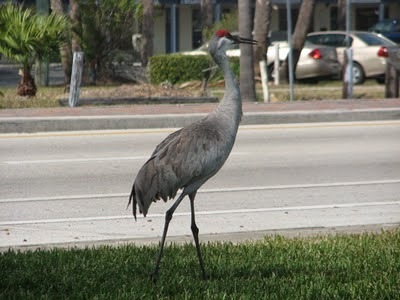 Stood close to them sunning on a traffic island and crossing on a busy highway in Sebastian, Florida. 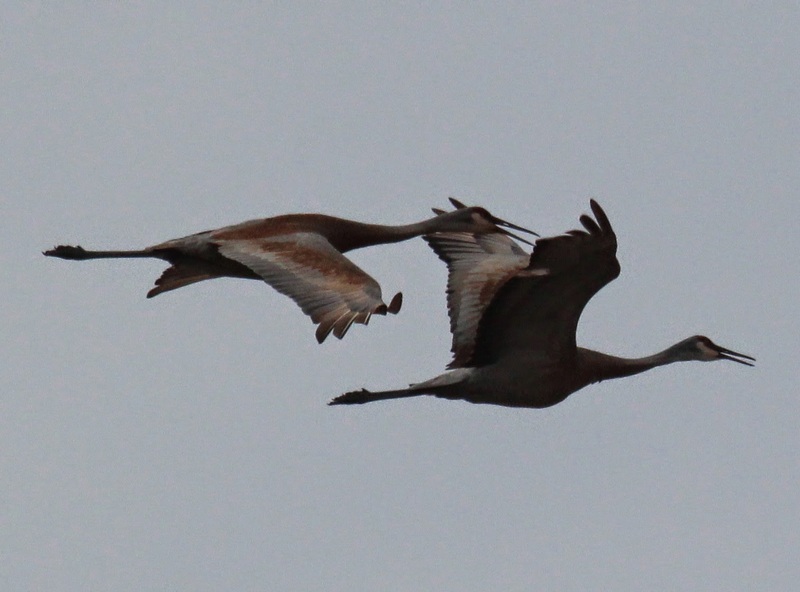 We’ve also noted them nesting, apparently for the first time ever, on a small refuge near our home in Bluff country. 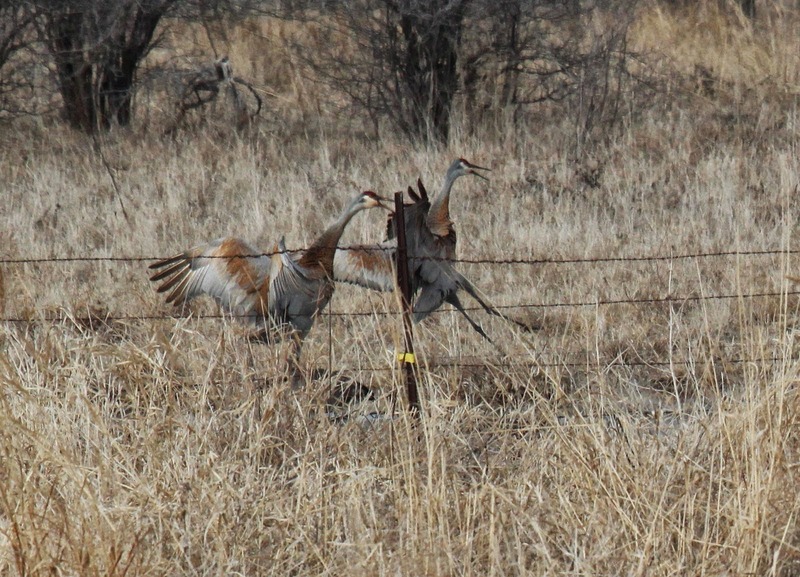 Here our friend, Mr. Science (Gary), took these spectacular “landing photos” of a pair. He was standing in the middle of a township road when they approached overhead and landed in the field right next to him. Take a look…….. Prince Otto von Bismarck of Prussia. He engineered the unification of German States under the leadership of Prussia. My Grandfather Karl (Charles) Wilhelm (William) Potthoff came to America alone as a teenager in 1868. He lived in Chicago for a few years where he became a chef on the Empire Builder, the transcontinental passenger train of the Great Northern. He eventually settled in St. Paul, married Mary Weber, and helped raise a family of 4 sons and two daughters. 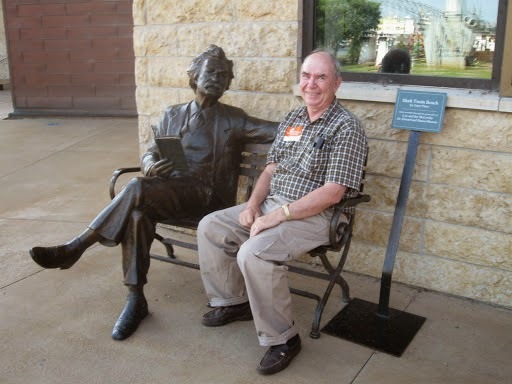 I was born in July 1941 in St. Paul at Mounds Park hospital on the East Side. My parents and I lived in an apartment during the war years on Earl Street. The 1948 photo was taken at the intersection of Hudson Road and Earl Street on the East Side of St. Paul, Minnesota. One block behind the photographer, who was facing south, is the apartment where my parents and I lived during World War II. In 1946 we had moved upstairs into my grandparents’ house, which lay about 7 blocks straight south on the bluff high above the Mississippi River. Oct 1945 outside my grandparents house on Mound Street. Four year old Troutbirder, his parents and paternal grandparents, Charles and Mary. Around the corner on Hudson road (now Interstate 94) was Basta’s Bakery. 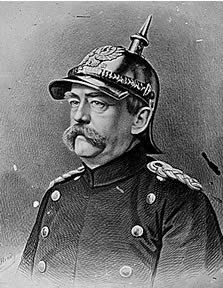 Several times a week, a elderly gentleman with a white hair and a mustache and a cane arrived at our apartment to present me with a Bismarck. 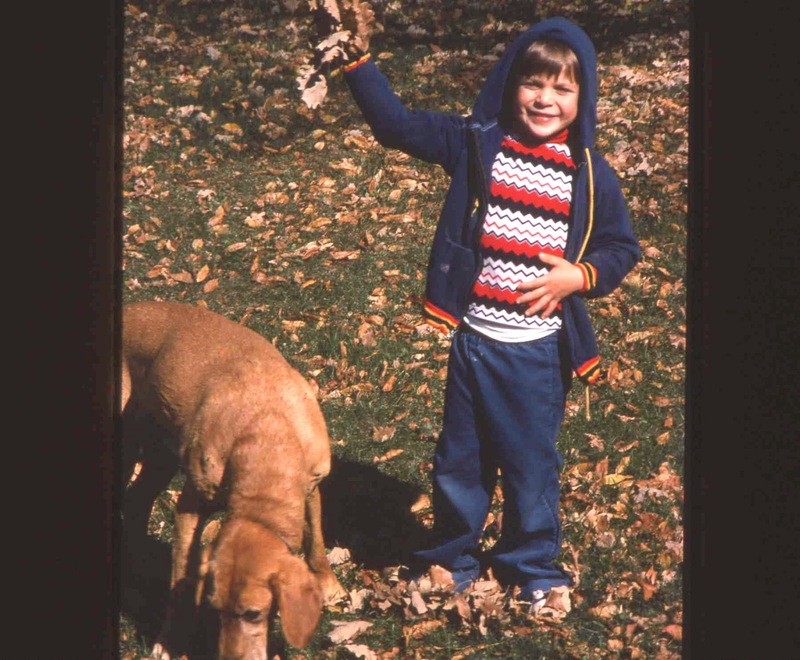 I was five years old. 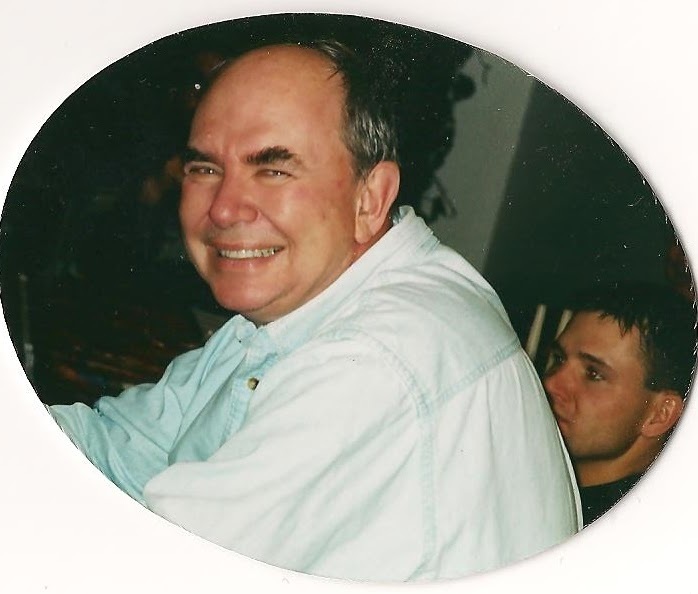 Of course, it was my grandpa…. The Hudson Road proceeded east less than a quarter mile where it reached the edge of the city, then turning into U.S. Highway #12 as it went on to, naturally, Hudson, Wisc. 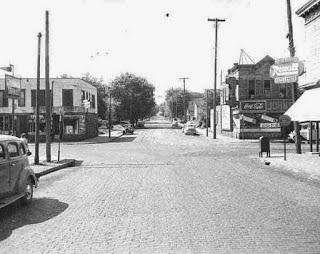 To the right in the photo was a Rexall Drugstore and on the south side, Johnson Bros. grocery. In the mid-fifties that grocery store was rebuilt a little further east as a "supermarket" and provided me my first job when I was in high school. As I write this early in the morning, my thoughts turn to our small town family bakery, one of the few left in southeastern Minnesota. I don’t have to tell you how much better their baked goods are than those obtainable in the Big Box stores in Rochester. 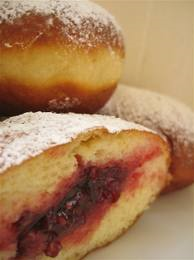 Maybe I’ll get a couple of Bismarck’s….. And remember my grandpa. When Mr. Science (Gary Erickson of Nature Notes) ( http://fillmorenature.blogspot.com/) recommends a book to me I take it seriously. 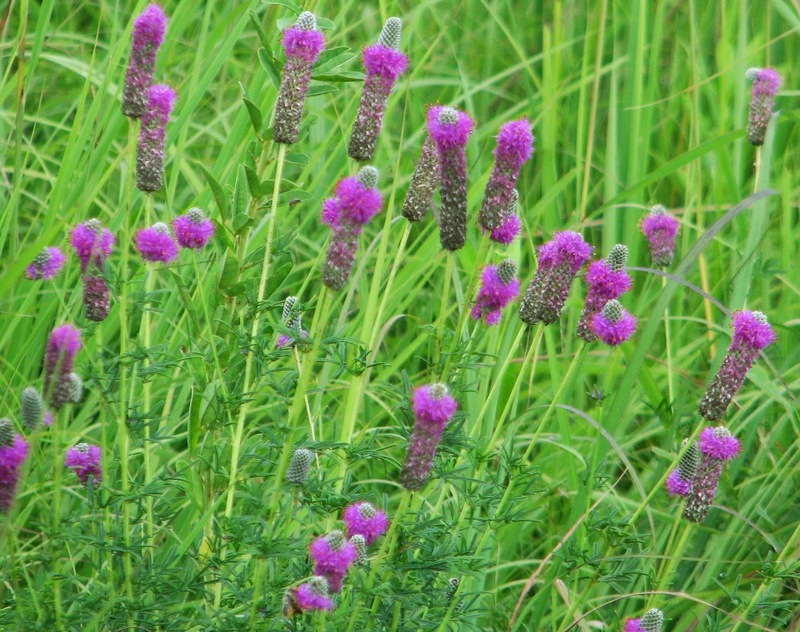 He has enhanced my interest in several subjects including birding and native wildflowers. 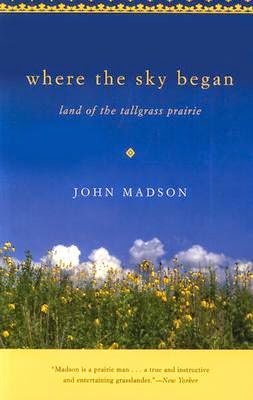 The book was where the sky began – land of the tall grass prairie by John Madson. 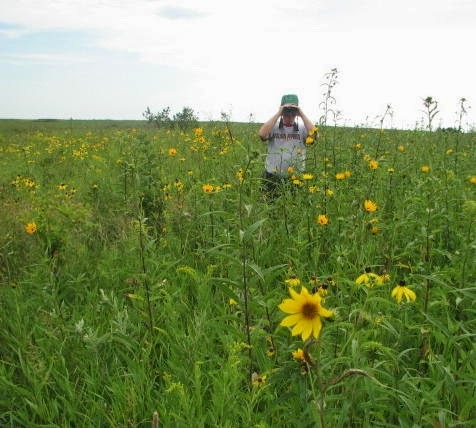 The tall grass prairie is probably the least appreciated of North America's original landscapes. 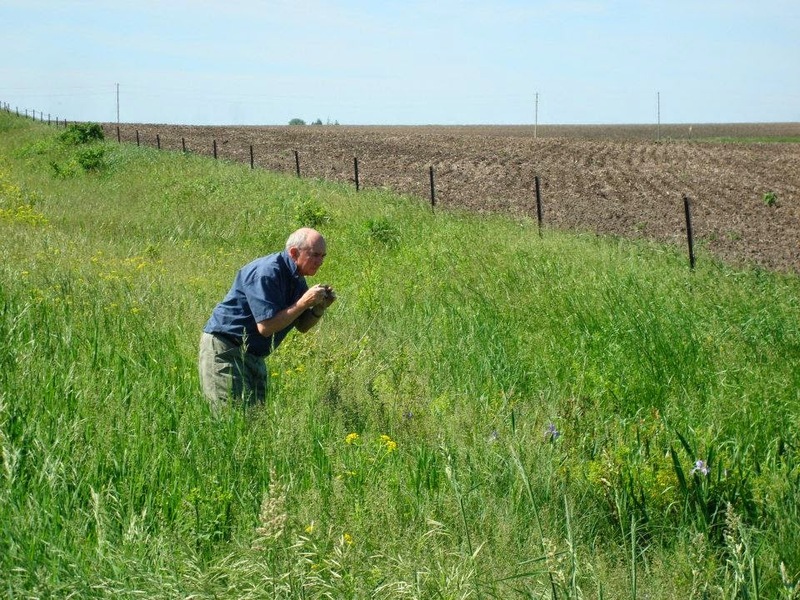 Unlike its western neighbors, the mixed and shortgrass prairies, almost all tall grass prairie has been plowed over. What people see now in its place is millions of acres of corn and soybeans. In the upper Midwest, where I live, there are only a few tiny corners preserved and protected and some odd corners in old cemeteries and abandoned railroads right of way. Where the Sky Began vividly portrays the original landscape. 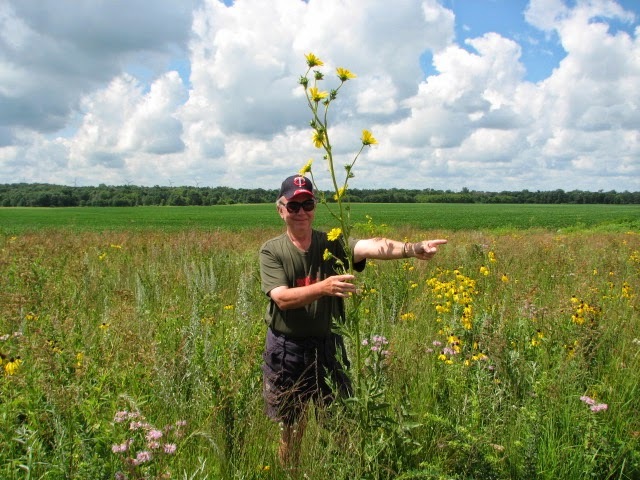 Characterized by plain but impressive grasses, beautiful forbs, rich wildlife, and immense continental climate, the tall grass prairie possesses striking aspects that are splendidly described by Madson. In addition to the land itself, Madson includes people, but only the European settlers, in his account. 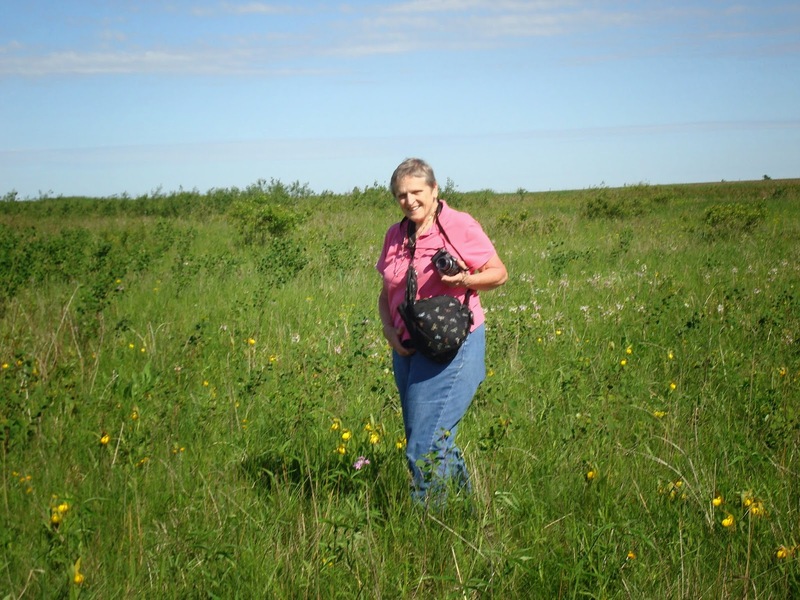 The interest that Madsons book and others like it have sparked has led to a revival of prairie restoration. I see it in State Parks and Wildlife Management areas and on private landholdings like Mr. Sciences 2 acres of restoration. To see what your missing take a look at some random prairie pictures I taken over the years and then download the book on your Kindle or Nook. 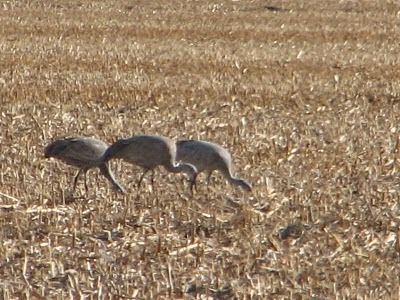 Birding on Hayden Prairie 300 acres of virgin prairie in northeastern Iowa. Baron and a patch of native "shooting stars." 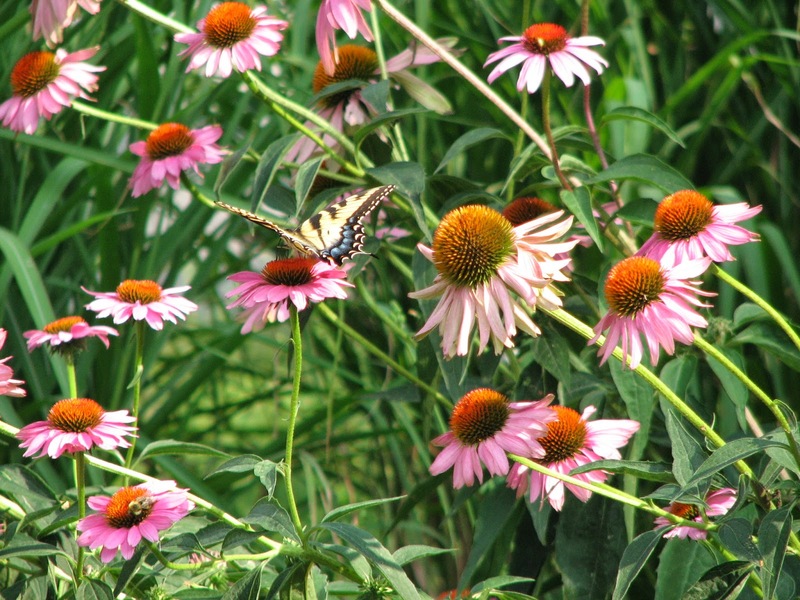 A butterfly stops to check out a purple coneflower. Spring has made its first tentative appearance here in Bluff Country, and so yesterday was the first of several clean out and clean up the garage and shed days. 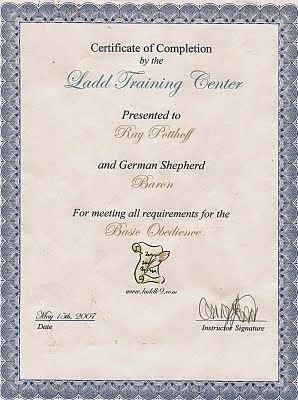 Tacked above the dog pen, in the garage with an exit to the outside kennel, was a graduation certificate for Baron, our late and much beloved GSD. I decided to leave it there. Our newly adopted Shepherd, Lily, won’t need to get one. At six years of age she has already passed all of the skill, obedience and intelligence tests I can think of…..
Baron was about 9 months old when he first met his peers. It was puppy class. The rest of the dogs were quite small compared to him. He was already very large for a male GSD. 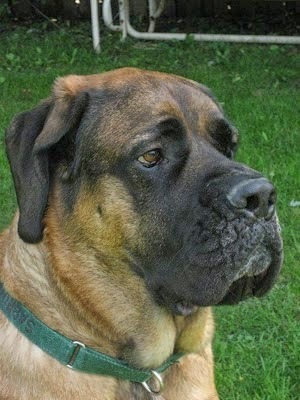 There was one exception though....shy, demure and well behaved Sabrina, the Mastiff. She was already a big girl. 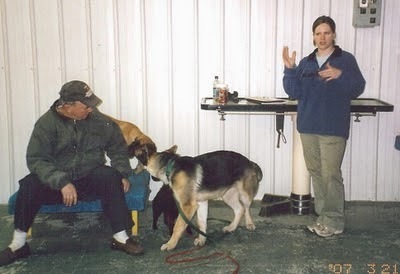 Here they are listening to their instructor. 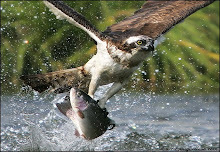 Troutbirder has to hang on to Baron so he doesn’t cause a disturbance. Sabrina waits quietly in the background, listening carefully. All of the puppies passed the class and got their certificate. Baron just barely made it through. Here is his report card. 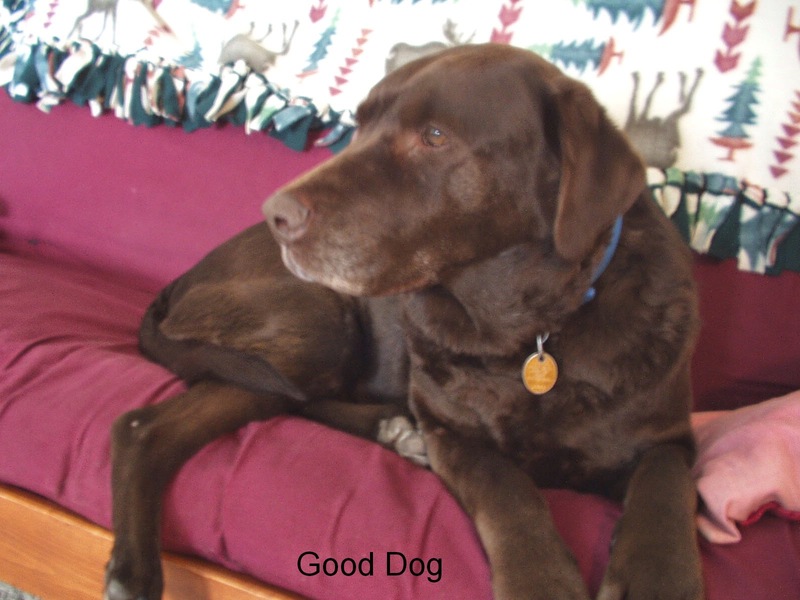 Time Out – Yes – several times…..
Needless to say he improved a whole lot from his shaky beginnings. 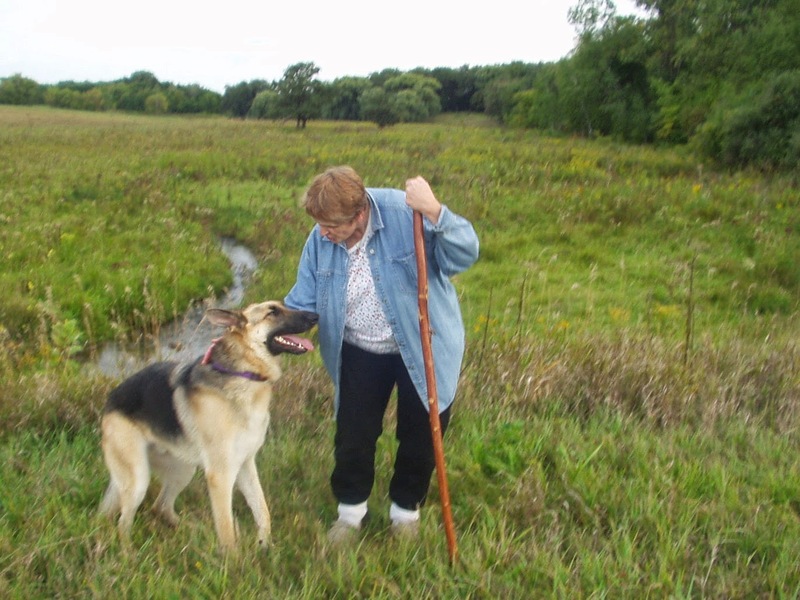 It seems with the permanent adoption of Lily the GSD, Mrs. T. has found satisfaction in the following fact (to quote her). “For the first time since we been married the females outnumber the males in this household.” She seems to take great consolation in this fact. 4. 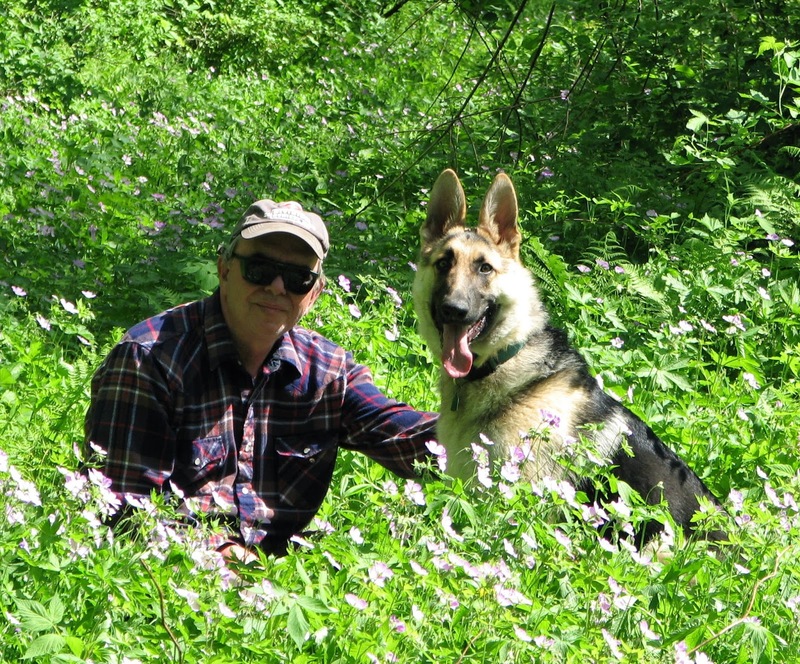 One husband, one wife and one female German Shepherd “Lily.” At last perfection is reached. This reverie has brought me to consider some gender differences to be aware of now that I’m outnumbered! If Laurie, Linda, Elizabeth and Barbara go out for lunch, they will call each other Laurie, Linda, Elizabeth and Barbara. If Mark, Chris, Eric and Tom go out, they will affectionately refer to each other as Fat Boy, Godzilla, Peanut-Head and Scrappy. This gender difference relates to the naming of Lily who arrived abandoned and alone arrived at our friends farm home on an Easter Sunday, where she given her present name. 3. MONEY A man will pay $2 for a $1 item he needs. A woman will pay $1 for a $2 item that she doesn't need if it's on sale. 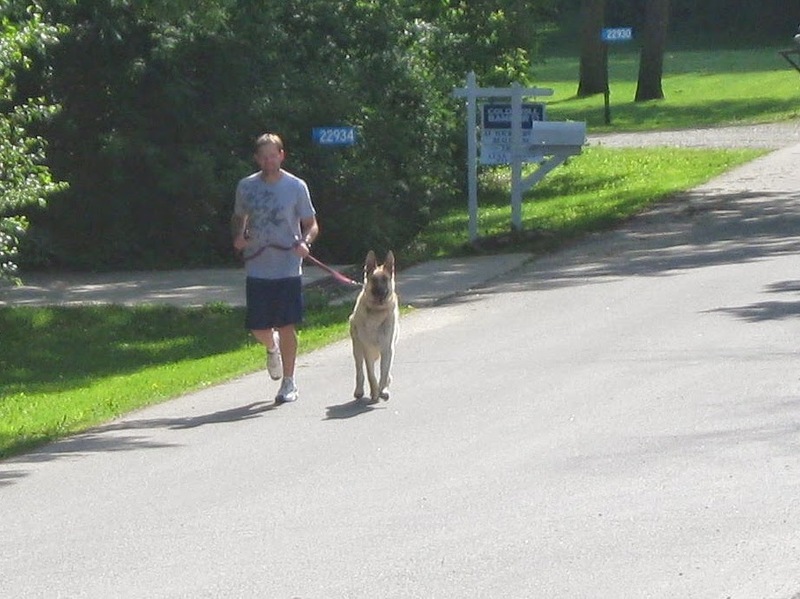 Of course, there is no expense in owning a large dog. Yah right! 4. BATHROOMS A man has five items in his bathroom: a toothbrush, shaving cream, razor, a bar of soap, and a towel. The average number of items in the typical woman's bathroom is 137. A man would not be able to identify most of them. We’ve gotten more toys and doggy paraphernalia than ever now that Lily is Mrs. T. dog. Lily follows her everywhere. 7. FUTURE A woman worries about the future until she gets a husband. A man never worries about the future until he gets a wife. Both worry above their new country dog learning the suburban ropes. A successful man is one who makes more money than his wife can spend. A successful woman is one who can find such a man. I can’t think of the Sonny and Cher song that covered this subject. 10. DRESSING UP A woman will dress up to go shopping, water the plants, empty the garbage, answer the phone, read a book, and get the mail. A man will dress up for weddings and funerals. Yup! A couple drove down a country road for several miles, not saying a word. An earlier discussion had led to an argument and neither of them wanted to concede their position. As they passed a barnyard of mules, jack asses, and pigs, the husband asked sarcastically, "Relatives of yours?" It had been a while since I’d digressed from my usual reading tastes. I did read, in my youth, a lot of modern American fiction but only occasionally in recent decades. As the writing of history and biography improved and that of fiction declined my reading interests went along with that change. 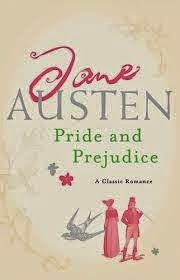 It was the phrase a “novel of manners” that recently caught my eye. Of course, as a child, my mother had often reminded me to “mind my manners” perhaps that was a clue? The book was filled with fascinating dialogue to my contemporary American eye. The language of the English gentry was stultifying, cloy inly, excessively, convolutedly polite. At first I found it quite off putting. Do I really want to read this? I plunged ahead. I did a little guilty laughing before it dawned on me that I was reading some seriously funny satire. That encouraged me to go on. I was learning about class consciousness in a time and place far beyond my own experience. The only thing I could compare it too was my enjoyment in reading Mark Twins A Connecticut Yankee in King Arthurs Court. From that point on I was enjoying my read more and more. 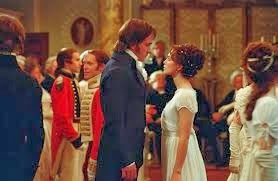 Would the headstrong independent middle class minister’s daughter Lizzy find true love between the rich upper class snob, but truly good man she hated and the glib goldigging loser she was attracted to? All this was in the face of family and friends who were mostly no help at all. This was in all compounded by a culture which strongly frowned on marriage between the low and the high born. 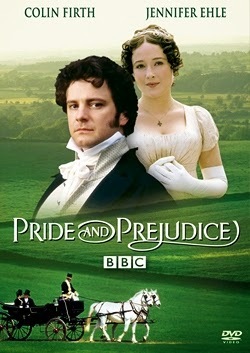 This novel is considered one of the greats of English literature. 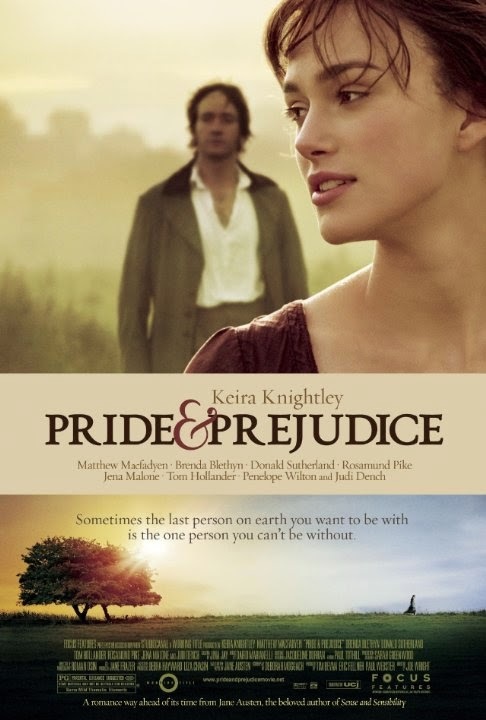 Published in 1813, it's more than just about marriage and manners, it also raises the problem all great novels consider, the search for self. That search, we learn, can take place in the most confined of settings. It was just a few summers ago on the “inland passage" in B.C. 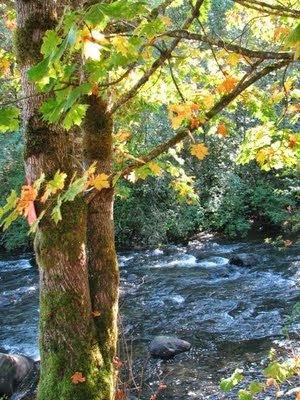 that our gracious B&B hostess, Patty, suggested a short jaunt into the interior of the Vancouver Island to see a falls, visit a salmon hatchery and perhaps find a nice picnic site in the forest. 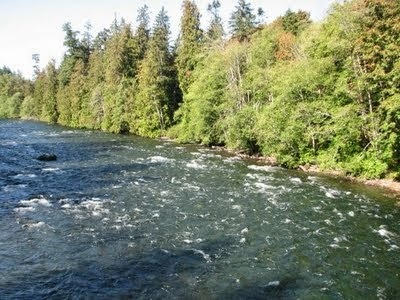 We followed her advice tracing the course of the Campbell River upstream. 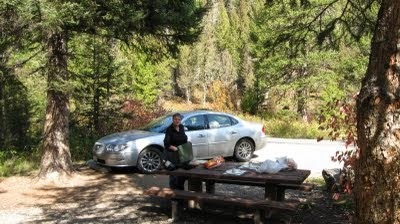 We visited the hatchery and then found a nice picnic area, which was near a small tributary of the Campbell. 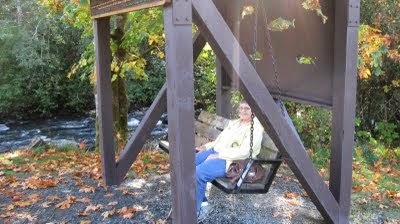 After lunch, Mrs. T found a nice swing and decided it was time for a rest. Already having noticed some fish in the tributary, I headed downstream to check it out. 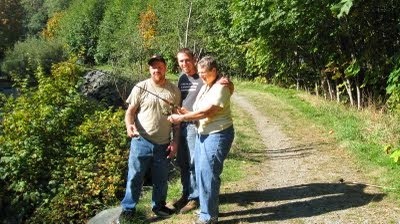 I hadn't brought any of my flyfishing gear with me, as this trip was to be mainly visiting family and sightseeing. 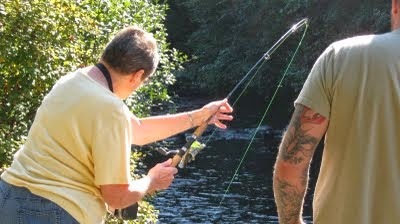 A few hundred yards downstream, I ran across two guys intently spinner fishing. With no elitist attitudes about their method, (I've used spinning gear and bait fished on many occasions), I said hello. 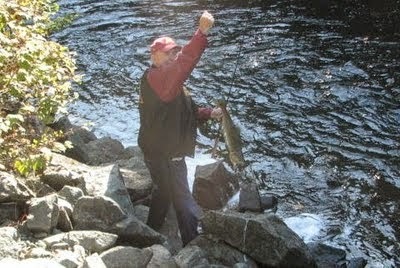 It turned out they were salmon fishing and one soon had what appeared to be a lunker on his line. It was then that my fisherman's instinct for hyperbole took over. "Looks like it might possibly be a small keeper," I offered. The fisherman's partner said "It's only about **kilograms," as the fish was landed. It looked about 5 lbs. "Nice but we get em a lot bigger than that back in Minnesota." I retorted. Except for Lake Superior, salmon fishing is unknown in my home state and certainly not where I fish in the spring creeks of Bluff Country. I was then informed that these part time lumberjacks and commercial fisherman were catching ***kilogram fish here only a week ago. I figured that many kilograms had to be at least 50 lbs. "Sounds like decent ones to me," I nodded agreeably. "Would you like to give it a try and see if you can do better " said one of these fine gentlemen challenging me by handing over his spinning rod. What could I do? I was forced into fishing (just to be polite). Beside with experienced local guides like these, how could I go wrong? 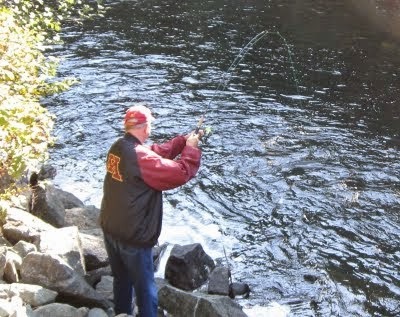 Yes, I caught a nice salmon. And yes, with all the shouting and hubbub, Mrs. T, camera in hand, quickly arrived on the scene. Then they offered Mrs. T a chance to give it a try. Lily takes a quick romp around the front yard to check out the situation. Mrs. T. arrives on the scene and quickly takes charge. We all head out on to the circle drive through our neighborhood but it's not good. There's a sheet of ice underneath four inches of snow on the black top. Too dangerous. Plan B. We load Lily into the back of my pickup and take the short trip into town to Willow Creek park. Spring in Bluff Country. No wildflowers up yet but we did see a Lily. You gotta love it!